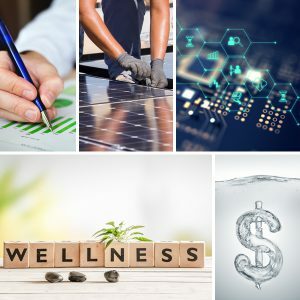 WSP USA Sites > Green Scene > Sustainability Strategy > What do the Task force on Climate-related Financial Disclosure Recommendations mean for your organization? a lack of transparent, consistent and high-quality financial information related to the potential risks and opportunities of climate change. 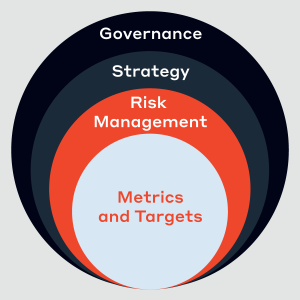 In June 2017, the TCFD published a set of recommendations focused on four core operational elements – governance, strategy, risk management and metrics, and targets. These recommendations are designed to be implemented across all sectors to varying degrees. Following the release of the recommendations, 390 investors representing over USD $22 trillion in assets requested that the G20 nations support the recommendations. What does this all mean to you? More information on TCFD’s alignment with CDP can be found in our 2018 CDP Climate Change Questionnaire: Influence of the TCFD and Other Key Changes blog post. The TCFD anticipates that reporting will evolve over time. As expectations rise and quality and consistency in reporting become priorities, organizations will be able to more fully align with TCFD’s recommendations. The recommendations have been designed to allow flexibility of implementation based on an organizations maturity, current reporting and available resources. To align with this strategy, it is ideal to start the reporting process early (even if your data breadth and quality are limited) and evolve the process over time. The TCFD asks organizations to consider physical and transitional risks under multiple scenarios. Many organizations already assess and report on physical risks to climate change (e.g. sea-level rise, increased occurrence and severity of wildfires). Transition risks refer to the policy, technology, market and reputation risks resulting from responses to a changing climate. The transitional risk assessment process will be new to many organizations and requires conducting analyses of several scenarios to assess a variety of potential future outcomes. Look to planners and forecasters throughout your organization to see what risks are already being considered and how the additional risk analyses recommended by the TCFD can be incorporated. Implementing the TCFD recommendations will vary significantly across organizations and sectors. However, these recommendations reflect a trend towards improved data and transparency in climate change reporting that will likely impact all organizations in some way. For a more detailed guidance on implementing the TCFD recommendations, download our white paper – Application of the TCFD Recommendations.